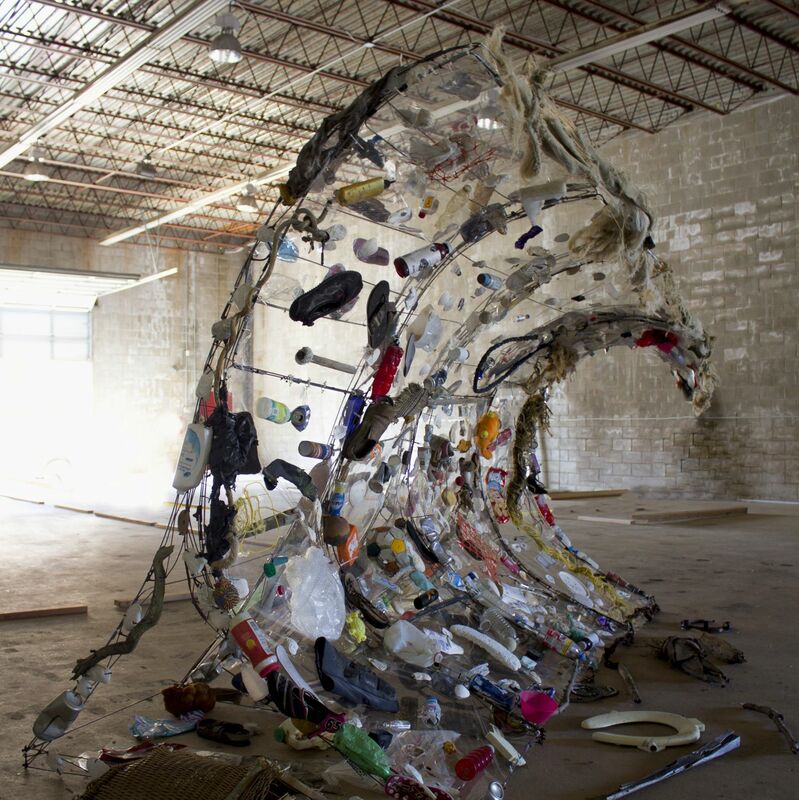 The “Bounty of the Sea” sculpture is constructed wholly from readymade consumer items that were discarded at the end of their useful life and have ended up on our waterways, oceans, and back-bays. Some of these consumer items have been in our waterways for years. Artist Statement: Our Waterways are becoming a dirty pool of toxic chemicals, oils and discarded man-made items. Out of sight out of mind, this is a toxic brew that we are swimming in and eating from. Yes, man is making a Dirty Pool out of our rivers, back-bays and oceans. The reason I use clam and oyster shells in this sculpture is because clams and oysters are filter feeders that form the basics of our food chain. Do you really believe that all of the salt water and the vastness of the ocean will naturally clean itself of human activity! Most governments believe that the endless dumping will have no effect on our food supply. Come on now, would you grow and then eat the vegetables from a toxic landfill. So, why would you eat sea food from toxic waters of our back-bays, rivers and oceans.